Carlow town in 1984, was one of the first towns in Ireland to be supplied with natural gas. Natural gas was first brought ashore in Ireland from the Kinsale Head gas field off the Cork coast in 1976. A pipeline which passed through Co Carlow brought gas to Dublin. Gas from this line was supplied by a spur-line to Carlow town. 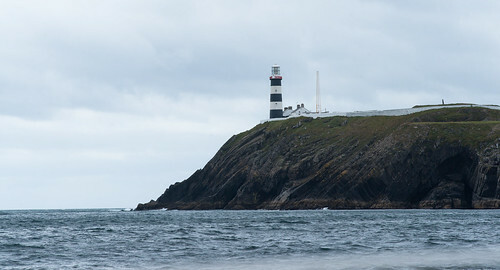 Natural gas was discovered about 50km off the Old head of Kinsale in 1971. Production of gas from the field began in 1976 and gas was initially supplied to a power plant in Cork. The Cork-Dublin pipeline was constructed in 1982. The gas supply network was expanded during the following decades. As the demand for gas increased the supply from the Kinsale Head field began to decline. In 1993 a sub-sea interconnector was constructed to supply gas from Great Britain to meet Ireland’s growing demand. A second interconnector was constructed in 2002. The Corrib gas field was discovered was discovered in the Atlantic Ocean off the Mayo coast in 1996. Gas supply from this field began to flow into the national grid in 2015. The Kinsale Head field and the Corrib gas field now supply 58% of Ireland’s gas needs. The remainder is imported from Great Britain. Construction work began on the Cork to Dublin gas pipeline in the year 1982 On This Day.